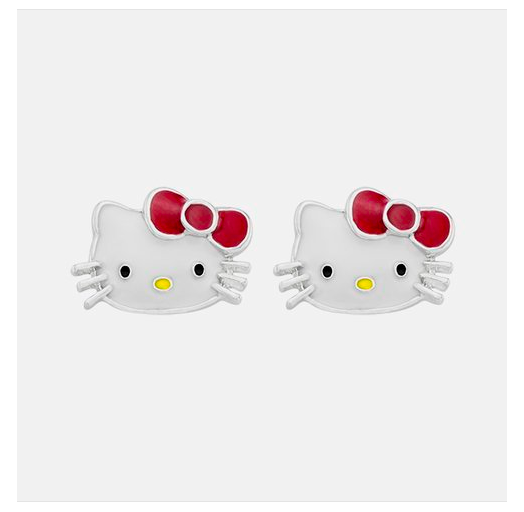 Hello Kitty Earrings Just $6.99 + FREE Shipping (Reg. $19.99)! You are here: Home / Great Deals / Hello Kitty Earrings Just $6.99 + FREE Shipping (Reg. $19.99)! How perfect would this be for the Hello Kitty lover! Right now, get these cute Hello Kitty Earrings for Just $6.99 + FREE Shipping (Reg. $19.99)! Grab these now and stash in the gift closet for an upcoming birthday or even Christmas!